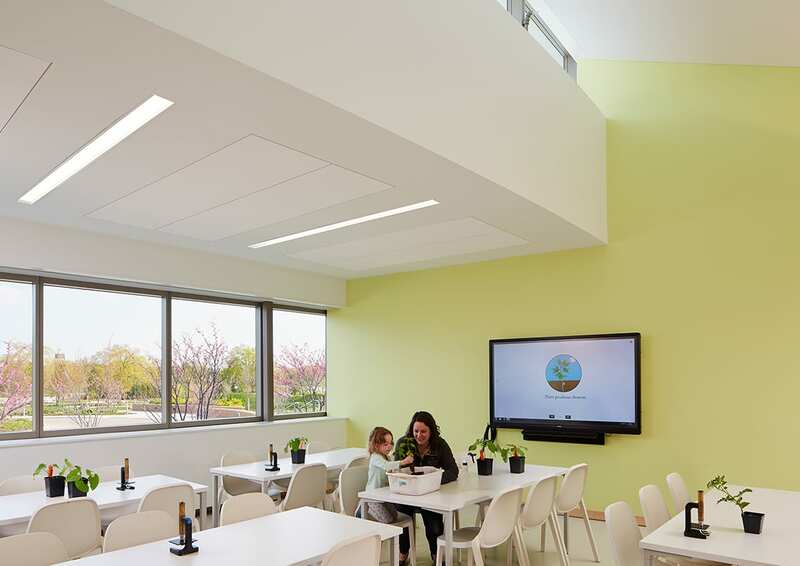 Motivated by the Chicago Botanic Garden’s mission to “cultivate the power of plants to sustain and enrich life,” the Learning Center fosters connections between people and nature through cultural programming and sensory experiences. 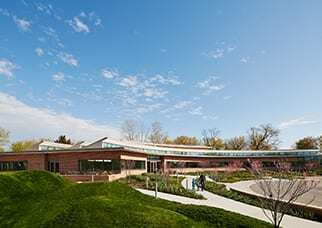 The Learning Center enhances the Botanic Garden’s distinguished education program, expanding existing curriculums and embracing new audiences with a state-of-the-art space designed to inspire exploration and interaction with nature. 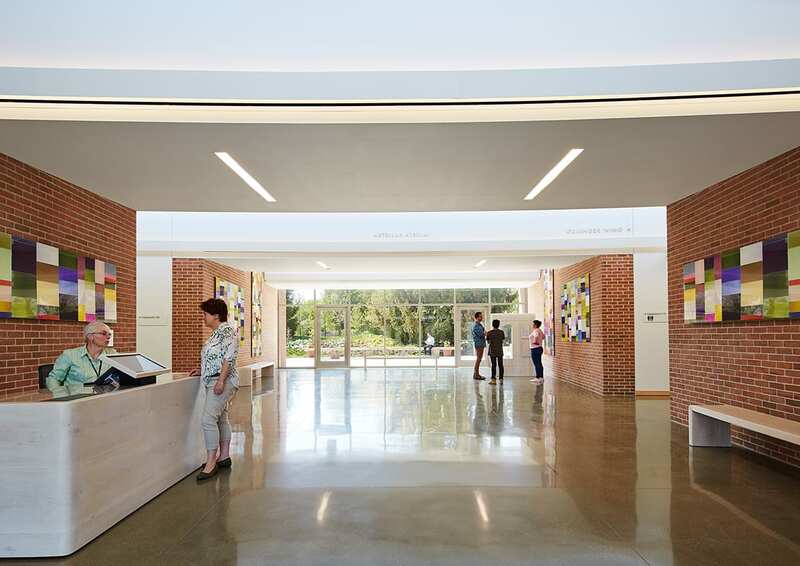 This LEED Platinum building is the heart of the Garden’s new seven-acre Learning Campus. 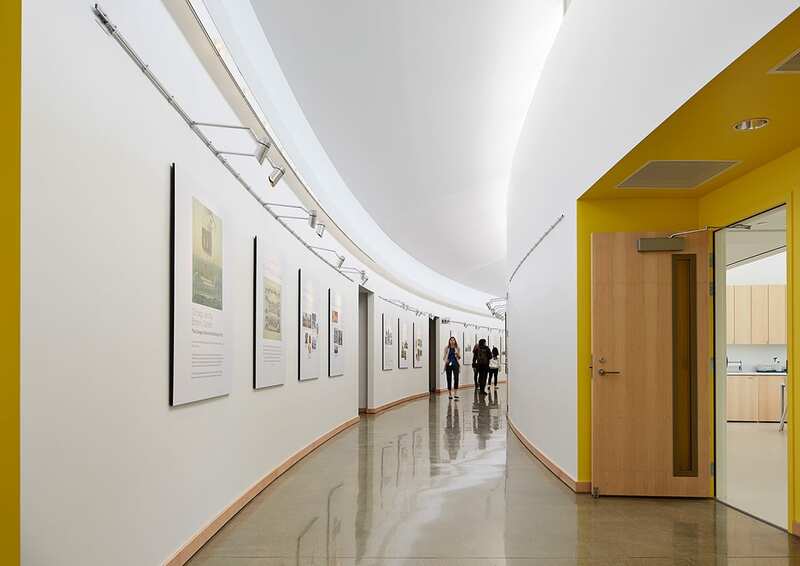 United with its whimsical landscape, the curvilinear building welcomes visitors. 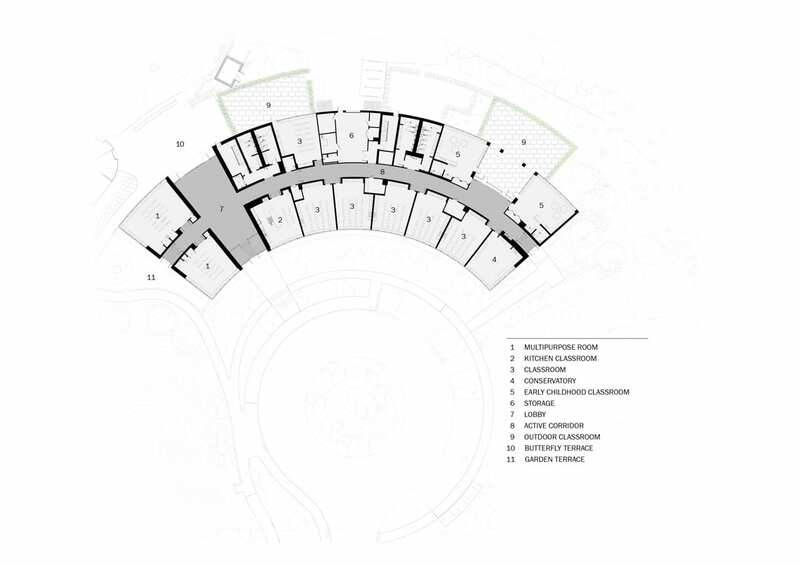 Interior classrooms open to multi-sensory gardens and outdoor terraces. 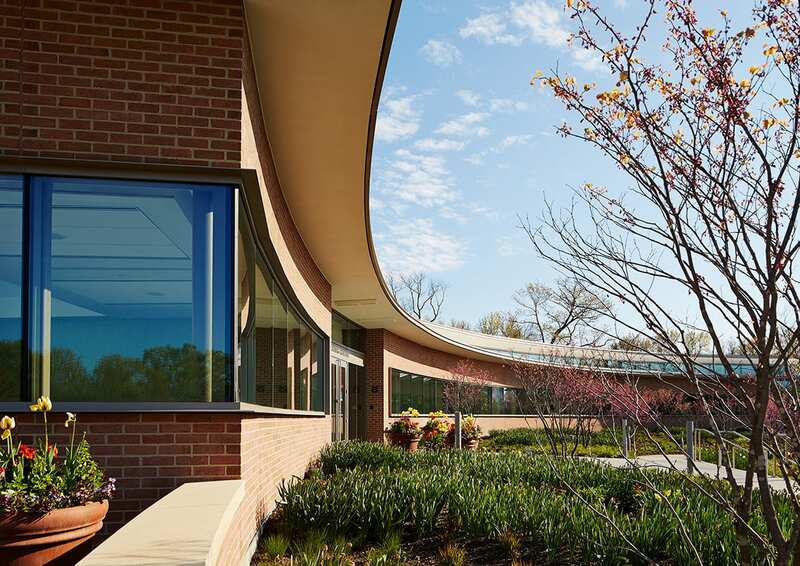 The building’s masonry exterior echoes the warm palette set by the Garden’s existing structures. Its sculpted form and integrated technology reflect the Garden’s commitment to environmental stewardship. 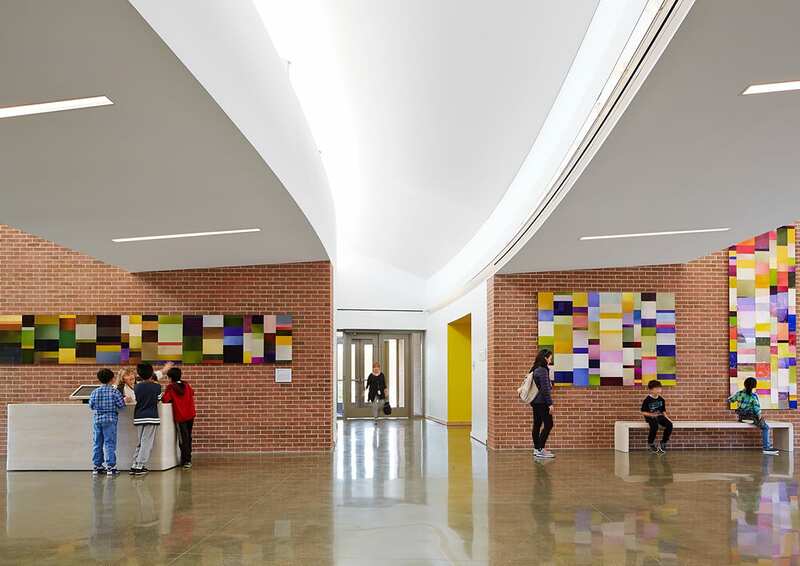 Sun scoops fill the entry atrium, central hallway, and classrooms with ambient daylight; LED lighting automatically adjusts as needed. 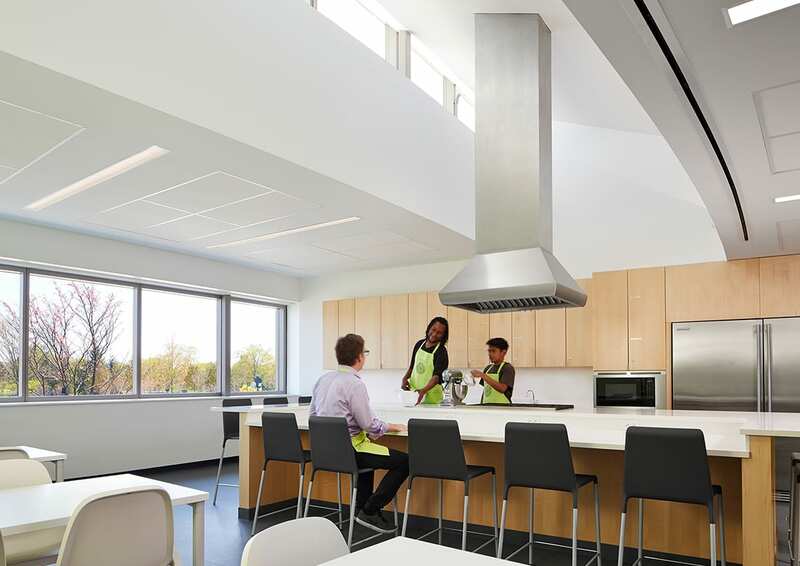 Together with an optimized building orientation, high-performance envelope, roof overhangs, and solar panels, the Learning Center achieves a 48% energy cost-reduction. 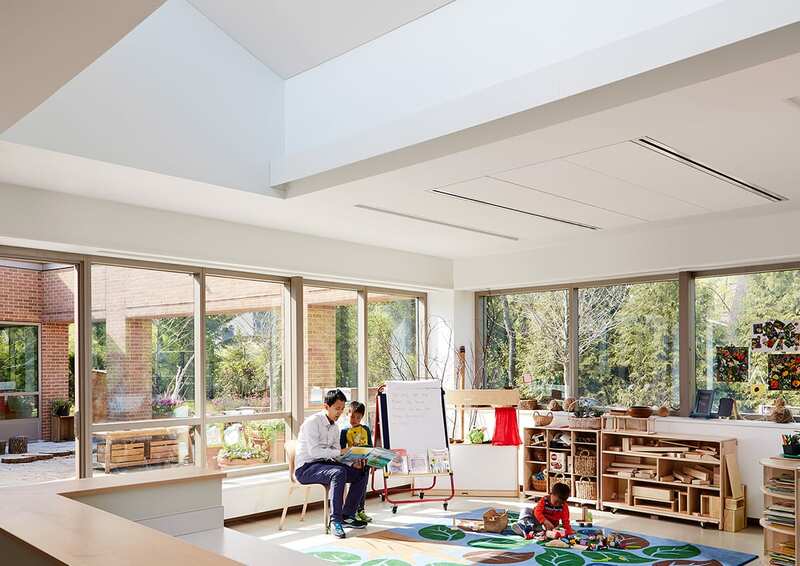 Classrooms are designed to host a variety of activities for all age groups. Adult programs include cooking, yoga, and wellness classes. 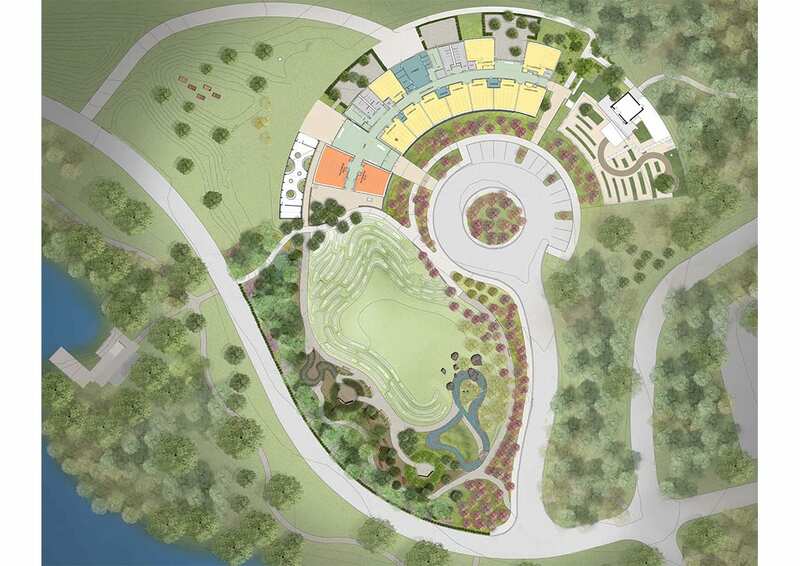 Early childhood programs enjoy the outdoor terraces and play-inspiring landscape. 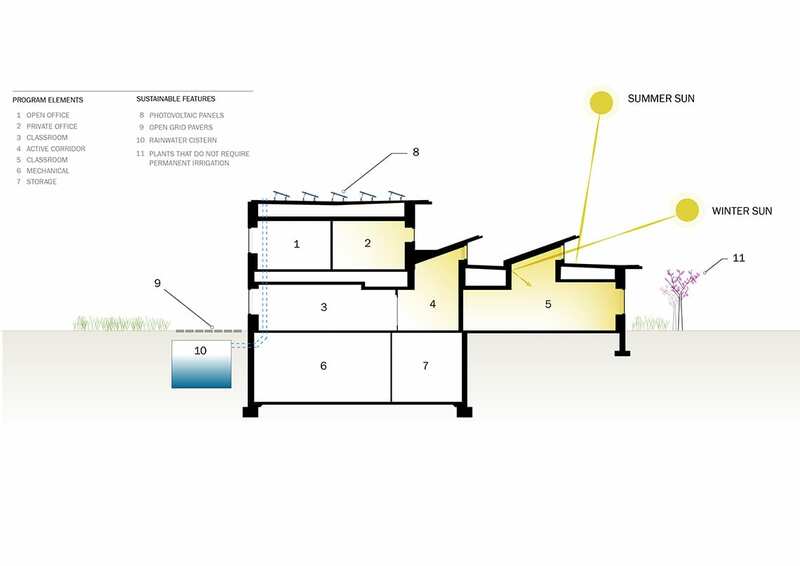 A plant preparation room functions as a greenhouse. Typical classrooms are equipped with smart boards for multimedia presentations. 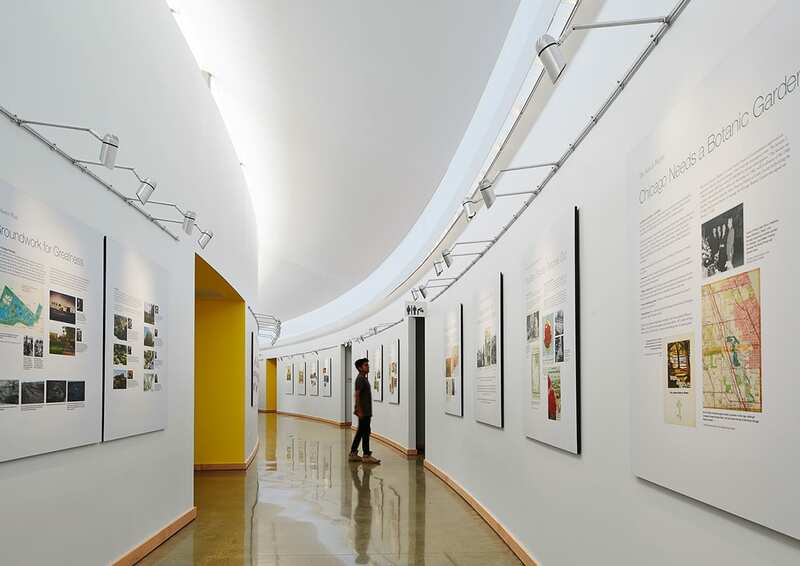 Large multipurpose rooms can be rented for private receptions and community meetings. 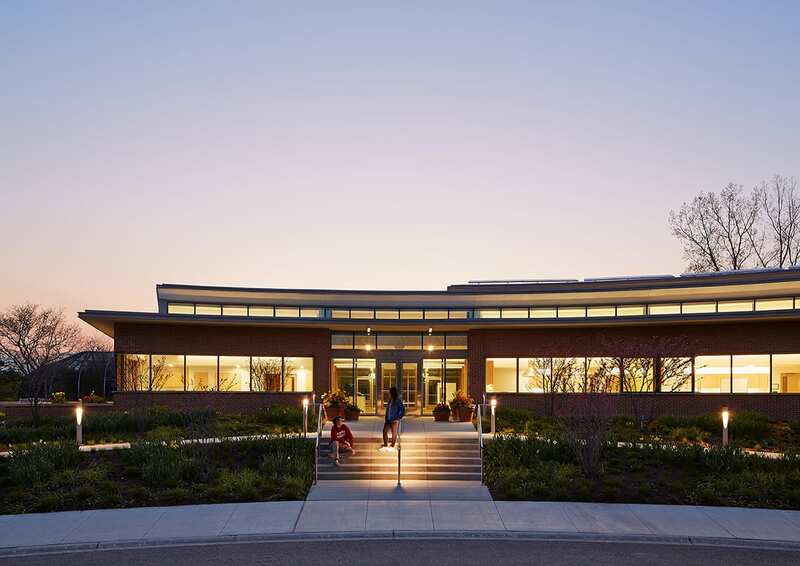 The Learning Center achieves the Botanic Garden’s goal by generating excitement and curiosity about our natural world with its inspiring, new environment.